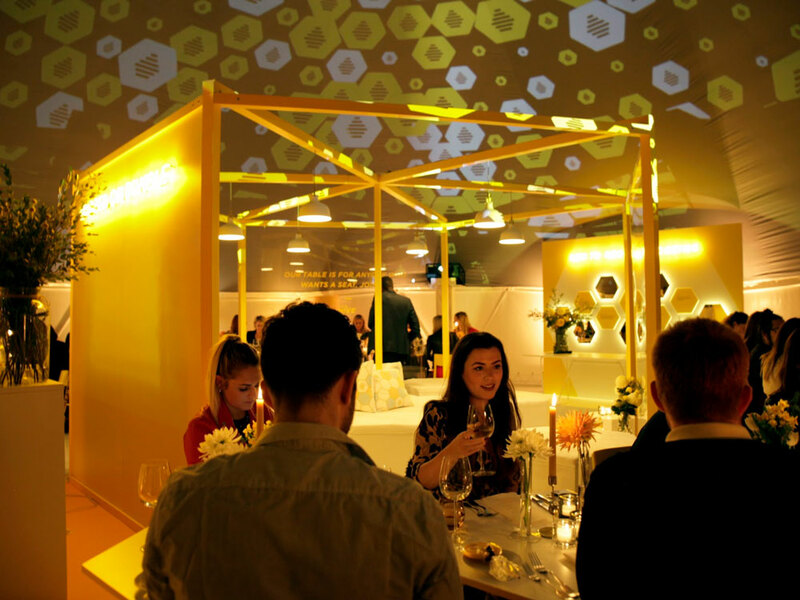 About: Following the success of ‘The Hive’ in New York, dating app Bumble commissioned us to help with their first London event. 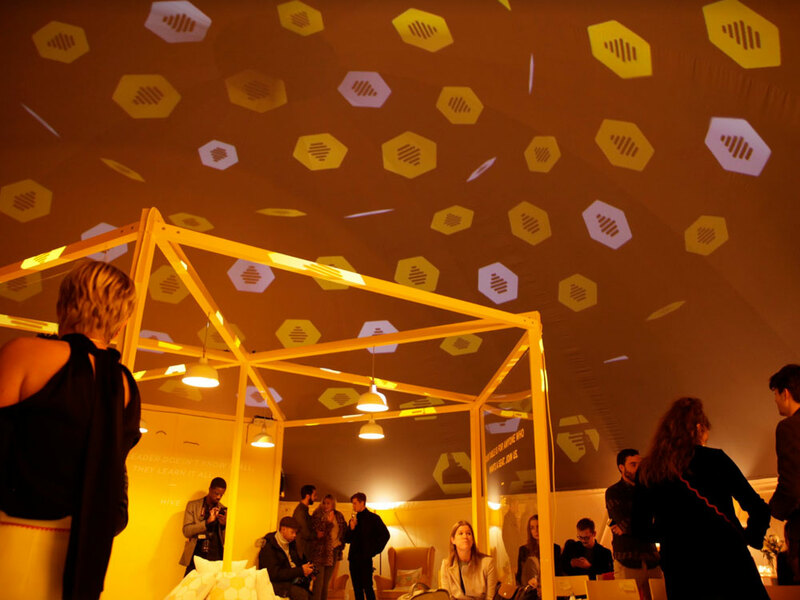 Our 360° projection domes provided the perfect environment for the 3-day event. 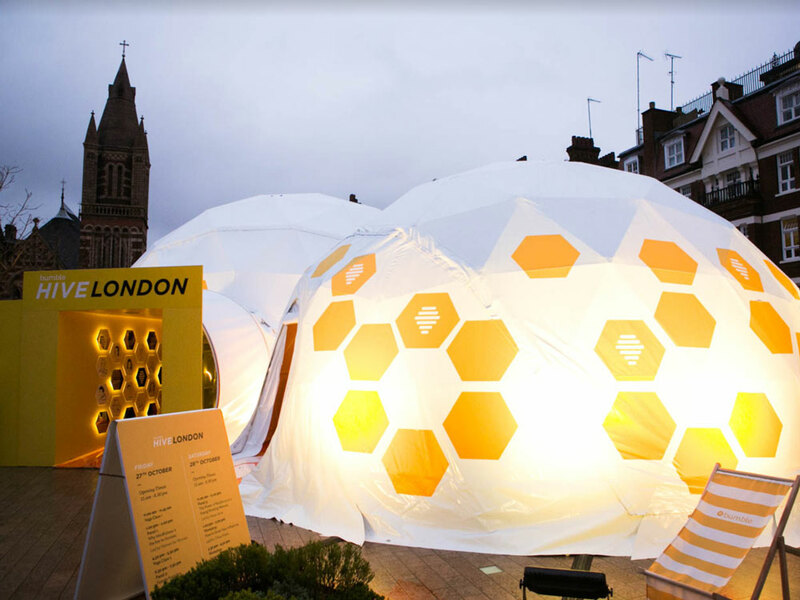 Branding for Bumble was key, with everything from toilet paper to lollipops, umbrellas to cutlery all aligned with the brand visuals. Making sure our animations using the brand assets perfectly suited the client’s tone kept us as busy as, well…bees.